Raising the level of care in Houston, Comprehensive Sleep Medicine Associates (CSMA) brings expertise from Stanford University—considered the birthplace of sleep medicine—where Jerald H. Simmons, MD, and Gerard J. Meskill, MD, obtained their sleep-disorders training. CSMA was established by Dr. Simmons, who is triple-board-certified in neurology, sleep and epilepsy, to function as a center of excellence. CSMA is recognized by Sleep Review magazine as one of the nation’s leading sleep centers and is fully accredited by the American Academy of Sleep Medicine. To add to the capacity, Dr. Meskill joined the practice, which now has three Houston-area locations. There are more than 100 different diagnosable sleep disorders that affect other conditions such as chronic fatigue, headaches, snoring, ADD/ADHD, TMJ pain, cardiac disease, high blood pressure, heart burn and more. Although these conditions are common, not all centers successfully provide care to those in need. “Simple problems, such as snoring, may lead to daytime sleepiness and fatigue, but the abnormalities of sleep from snoring may go undetected if enhanced measures, such as those pioneered at Stanford, are not utilized,” explains Dr. Simmons. Taking a team approach is crucial for success. 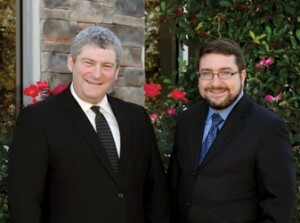 “We work closely with dentists, helping patients with snoring, sleep apnea as well as TMJ pain. This is one of many areas where we excel,” states Dr. Meskill. “Education is a critical part of what we do,” adds Dr. Simmons, who founded and directs the Sleep Education Consortium, a non-profit organization that provides conferences to health-care professionals and the Houston community. To better understand sleep disorders, visit www.HoustonSleep.Net or call 281-407-6222. Click here to see the article in H Texas magazine’s Houston’s Top Docs issue. This entry was posted in General and tagged general by admin. Bookmark the permalink.